Have you ever considered donating plasma to rake in some extra dough? While there are some health implications you have to keep in mind, it may not be such a bad idea. In fact, the procedure doesn’t take much time and you can collect your cash right away. So, how do you go about donating plasma for money? This in-depth guide will answer this question and much more. 1 How much money can you make donating plasma? 4 How long does it take to donate plasma? 5 Is it safe to donate plasma? 6 Are you healthy enough to donate plasma? How often you donate. Most centers allow you to donate two times per week, with a one-day waiting period between visits. How much you’re able to donate, which is determined by your weight. Duration of the visit. First-time donors are generally compensated at a higher rate because the initial visit lasts longer than subsequent visits. Keep in mind that you’ll usually make more money on your first visit as most plasma donation centers offer incentives to attract new donors. Also, inquire about special promotions, like monthly and frequent donor bonuses. You will be compensated at the conclusion of your visit. Payment methods vary by center, but most use a prepaid debit card to compensate donors. (Keep in mind that a surcharge may apply for each transaction). You may also be paid through their in-house rewards program in which you redeem your points for cash, merchandise or other prizes. When you donate plasma, the benefits are twofold. Not only will you earn money to beef up your pockets, but you’ll play an integral role in helping save someone’s life. So, this could mean that you’ll be able to pay your rent on time, feed your little ones, or pay down that credit card. And you’ll also help a patient dealing with a health crisis. That’s not a bad trade-off. How so? Well, blood plasma is used in a variety of treatments, including those that relate to respiratory disorders, the immune system, bleeding, wound healing and blood transfusions, according to Healthline. Your donation could also save someone’s life if they’re battling with cancer or a traumatic injury, MedicalNewsToday adds. When considering donation centers, confirm they are licensed by the International Quality Plasma Program (IQPP). It’s also a good idea to read reviews from donors regarding their experience to get an idea of if the center you’re considering is the best option. Common negative trends, like an unprofessional staff, excessive wait times, and cleanliness could be an indicator that you’d be better off going elsewhere. 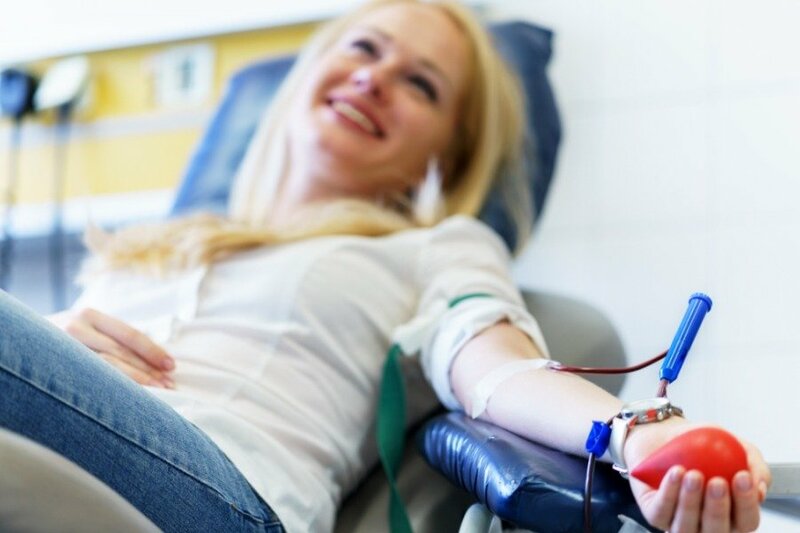 If you’re struggling to find a plasma donation center, use this tool to find a location near you. Generally, you can expect to spend anywhere between one to two hours at the plasma donation center. During this time, your medical history will be reviewed. The technician or phlebotomist will also conduct a basic exam to ensure you are healthy enough to give a donation. In the event the center is crowded with donors that haven’t yet been seen or it’s your first rodeo and you have paperwork to complete, chances are you’ll be there much longer. As long as you meet the criteria set forth by the donation center, you should be good to go. For the most part, it is safe to donate plasma, notes Healthline. But don’t be surprised if you experience some discomfort during and immediately following the process. Minor side effects, like bruising, dizziness, fainting, fatigue and lightheadedness may also result from donating plasma. Are you healthy enough to donate plasma? While these some general criteria to keep in mind, the plasma may have additional criteria that you must meet to be eligible for donating plasma. Prior to your visit to donate plasma, you’ll want to contact the center to confirm you have all the documentation they need, including a copy of your driver’s license or government issued ID, proof of social security number, and proof of local residency, to move forward. Otherwise, you may not be able to donate plasma on the day of your appointment. Drink lots of water leading up to the visit. Aim for at least 16 ounces prior to your appointment. Plasma is composed of 92 percent water, notes the American Red Cross, so you’ll want to hydrate to stock up those reserves. Eat a snack to avoid donating on an empty stomach. Otherwise, you will more than likely experience nausea, dizziness, lightheadedness, and possibly vomiting. First and foremost, you want to relax until those depleted water reserves are replenished. Your body will do this naturally on its own, but it’s important to rest and give it time to avoid adverse reactions. You also want to drink something (preferably clear liquids) immediately following the donation to speed up the rehydration process. Whether you need money for a bill, rent, to pay down a credit card or are just looking to beef up your emergency fund, donating plasma can help you get money in your pocket in a jiffy. But before donating, do your homework to confirm the donation center is a good fit. Most importantly, be sure to prepare your body beforehand to minimize the possibility of enduring unpleasant side effects.